Purav Tarpaulins are specialized in manufacturing and erection of temporary monsoon sheds using materials such as Saroo vassa, Rocket bamboos for roof making. Purav Tarpaulins provides 5 layers of HDPE laminated tarpaulins. The product is 100% waterproof on roof covers and extra protection of LDPE. Monsoon Sheds and Tarpaulins are used to protect your Raw materials and Goods from Rain, Sun, and Dust during different seasons. We provide A-grade sheets of tarpaulins and our expert staff renders the best round-the-clock services. Purav Tarpaulins assures to provide the best quality MONSOON SHED product and services according to the height of each shop/gala as per the customer's specification. Purav Tarpaulins deal in all kinds of packing materials at a very reasonable rate. Let Purav Tarpaulins help you, send us your requirement and specification and our sales executive will be at your table. 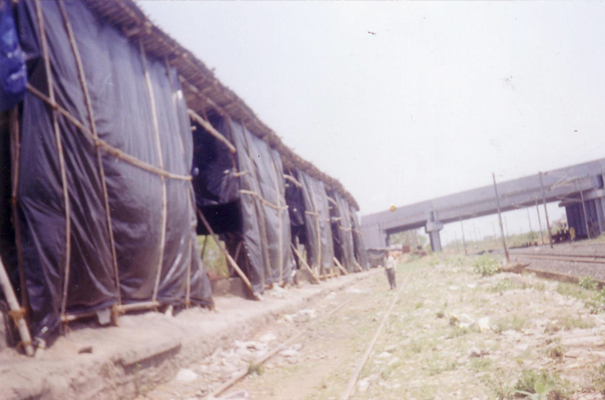 We are specialist of erection of temporary monsoon sheds. Monsoon shed materials such as Saroo vassa, Rocket bamboos for roof make. 5 layes of HDPE laminated tarpaulins. 100% waterproof on roof coveres and extra protection of LDPE. A grade sheets of tarpaulins and expert staff providing best round-the-clock services. MONSOON SHED according to the hight of each gala are expected as per any specification required by our customers. We are dealing in all kind of packing materials at very reasonable rate. Send us your requirement and specification and our sales executive will be at your table.